" I use these for my full face ZZZ-mask because they provide better support than the harnesses supplied with the mask. Excellent product. " " It is as good as the original. Helps to extend the life and use of an older mask. No complaints. " 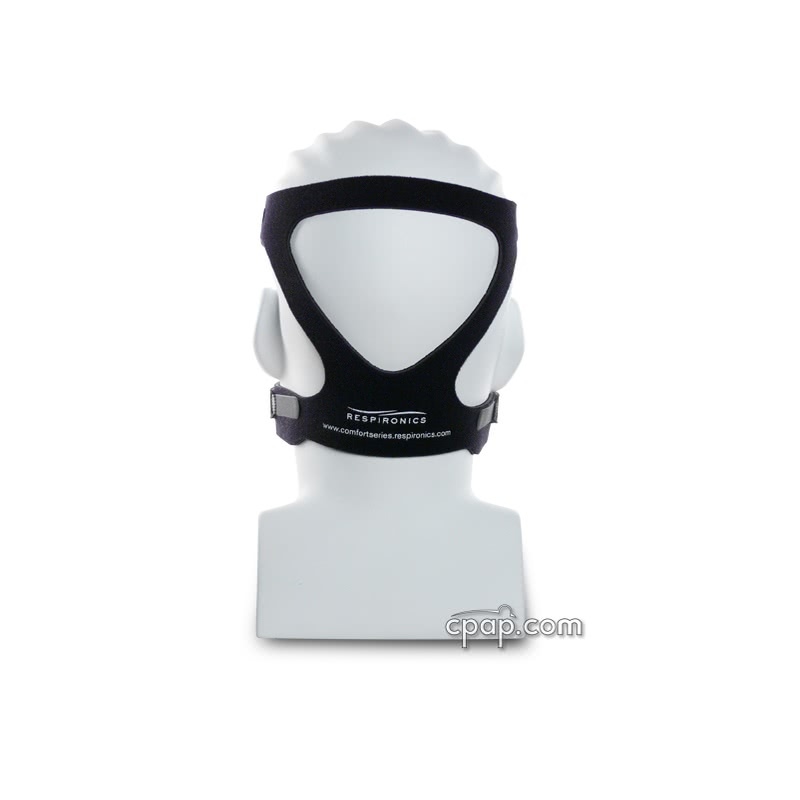 The Premium Headgear with EZ Peel Tabs for Comfort Series Masks is available in two sizes: Small (RS) and Standard. 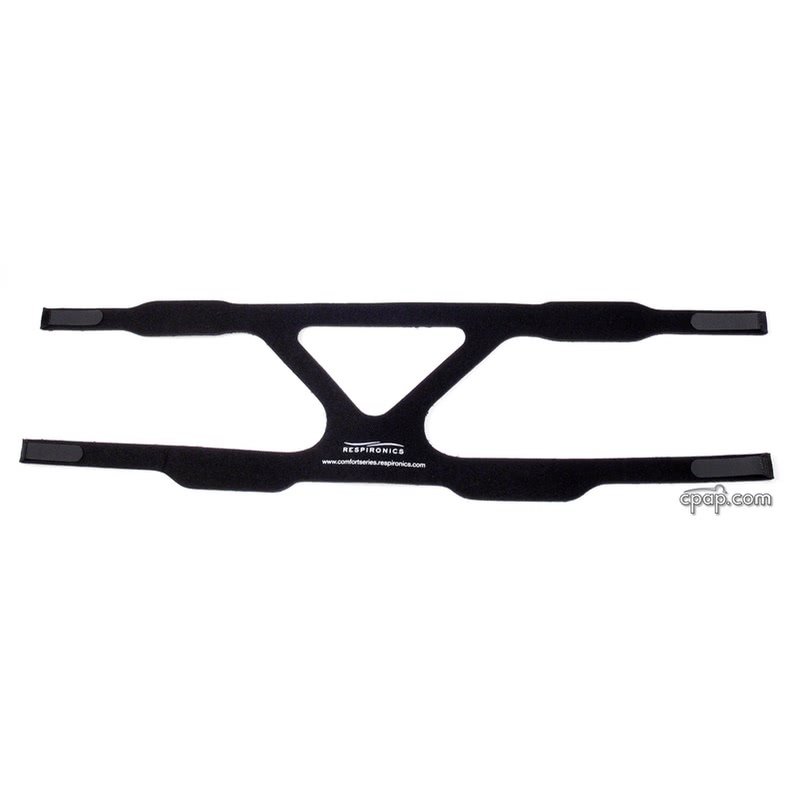 The two sizes have different upper and lower strap lengths as well as the distance between the upper and lower straps on the back of the head. Measurements listed below are for both the upper and lower strap, and the measurement from the top of the upper strap to the bottom of the lower strap. The Velcro tabs are closed (folded over) as seen in the second product image titled "Premium Headgear with EZ Peel Tabs (Velcro Tabs Closed)". 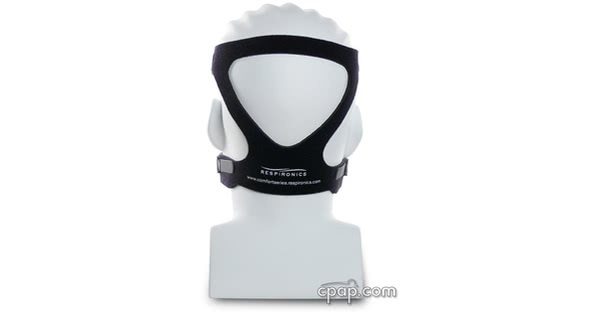 The measurements are taken without stretching the headgear. 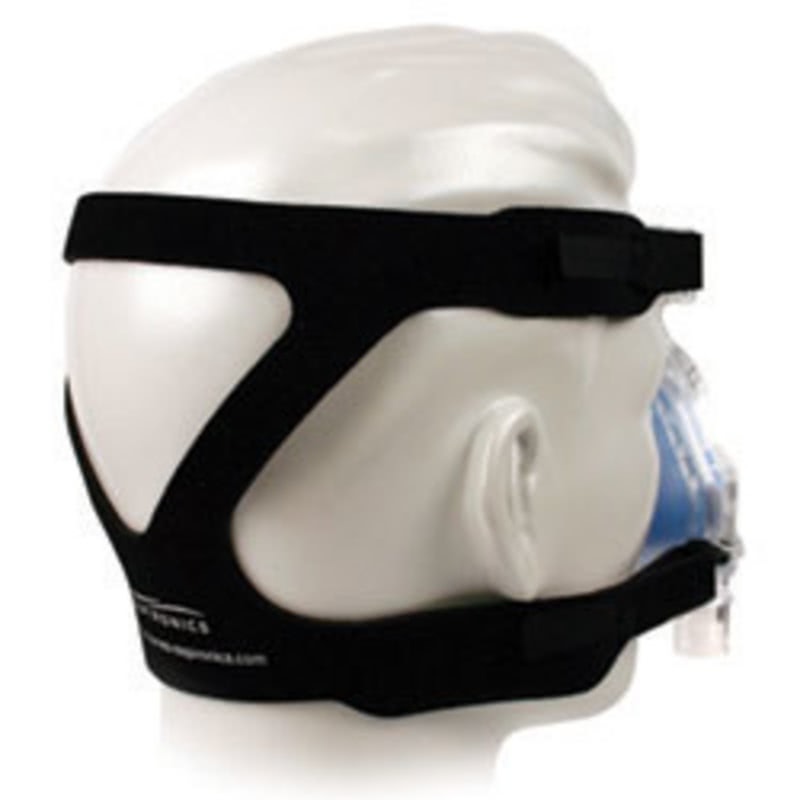 Please Note All Philip Respironics mask and headgear products which include the Premium Headgear with EZ Peel Tabs for Comfort Series Masks come packaged from the manufacturer with the size Standard Headgear.